When I started teaching sewing classes I knew that one of the things that I needed to find patterns for was some good little stuffies for my students to make. Who doesn't love creating a little friend and then filling it with stuffing and seeing it "come to life"? There are a whole host of great pattern makers out there, but I quickly fell in love with these three I found on Etsy. Each of these shops has a very unique style and their shops are filled with a whole host of goodies to make that would be perfect little stitchy gifts. I first discovered the work of Larissa Holland of mmmcrafts when I was searching for a stocking pattern. 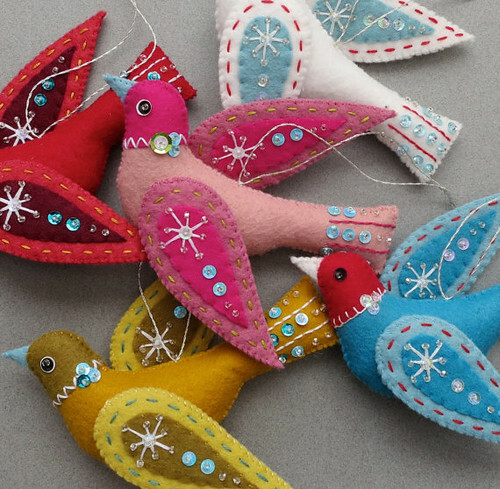 I quickly fell in love with her Turtledoves and I've spent the last year sewing more birds than I could ever imagine. This pattern is superb and her instructions are very easy to follow. 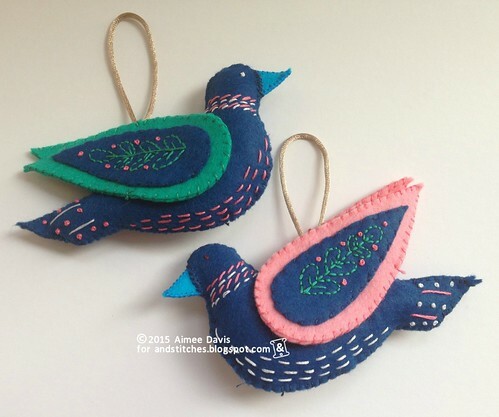 I love these birds because they are so easy to either follow the pattern exactly or to make them you own by just changing up the stitches you use for the accents on their bodies. 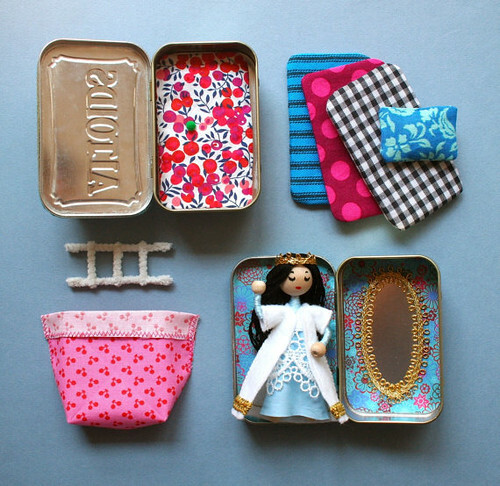 Larrisa also has a line of patterns making little dolls and other creatures that fit in these little altoid tins. My daughter is a sucker for anything tiny that fits in a tin and I love anything that has to do with Princess and the Pea. These would be great stocking stuffers! 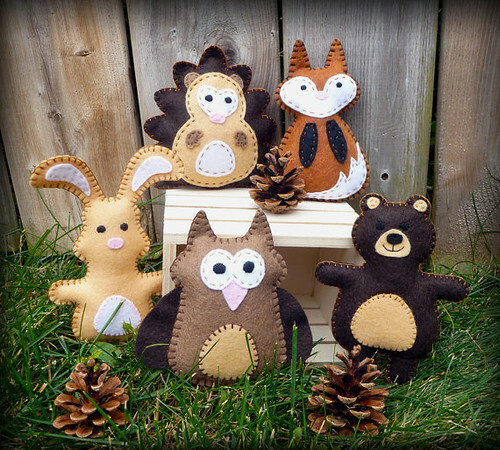 Searching for some stuffed animal patterns, I landed on Little Softie Shop which is run by Tina. I love her selection of little animals! One of the first group of patterns I discovered was her set of woodland animals. These have been a go-to staple in all of my sewing classes and they are such fun to put together. They would make a great little stocking stuffer for anyone! Many of her patterns come in two different sizes which I love. 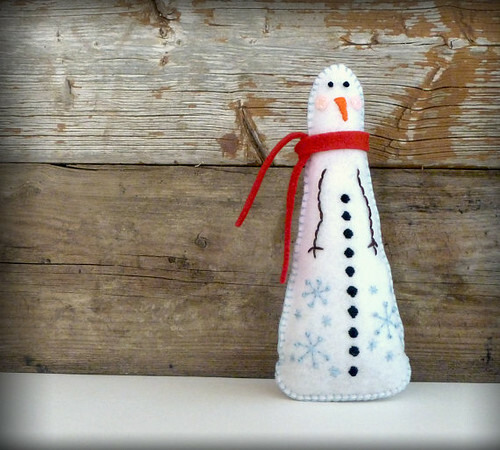 The one I have my eye on for a Christmas gift is this awesome little snowman! I can already picture him sitting on the mantel at my mom's house. Last up is a shop called Noialand. There are so many little patterns I would love to get my hands on to make for friends this season! 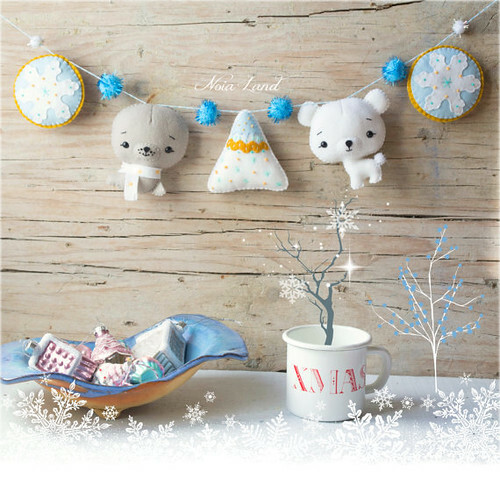 She has a mix of stuffies to hug and stuffed garlands to hang. This North Pole Garland caught my eye first as I was searching for some more wintery decorations for the season. 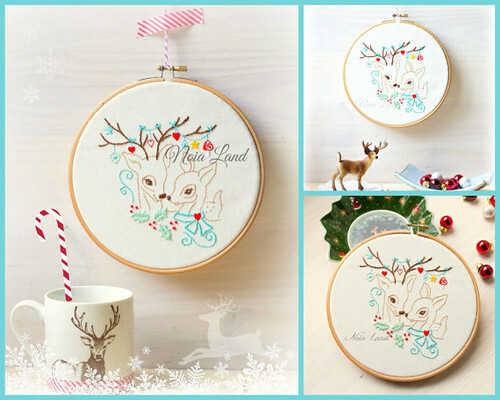 Don't leave this shop without checking out Noiland's lovely embroidery patterns. I cannot end this little group of stitchy gifts without highlighting the wonderfully fun stitchalong happening with little Cindermouse. What Delilah Did and Cloud Craft have teamed together to bring an awesome trio of patterns (the third one was just recently released) for stitchers to sew along with this season. 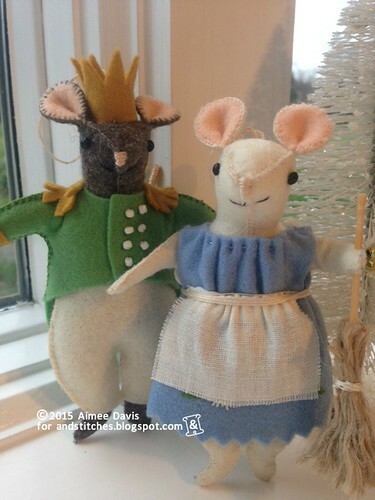 Check out #cindermousestitchalong to see little mice friends popping up from all over the world. I recently finished up my little Mouse Charming to complete this sweet little couple. Hopefully this gave you some great ideas for little stitchy gifts you can make for the upcoming holiday season! 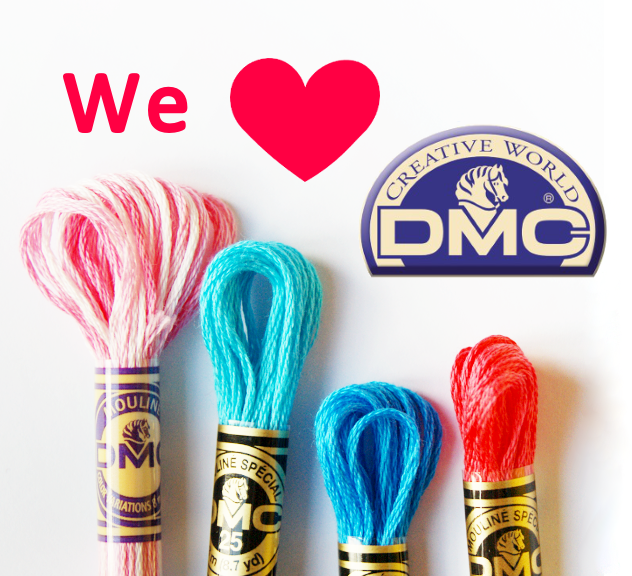 What are you stitching? Please share in the &Stitches Flickr group. We'd love to see it!